1. 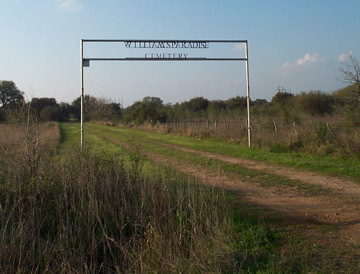 On August 23, 1954, Chartie M. Williams petitioned the Colorado County Commissioners Court to designate five acres of his property for use as a cemetery, specifying in the petition that the cemetery was to be called the Chartie Williams Community Cemetery. 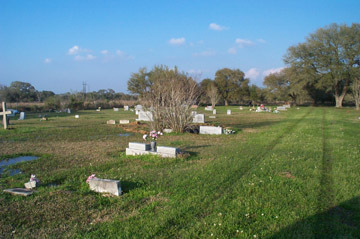 The commissioners voted to accept the cemetery on September 13, 1954, and recorded the land as such in Colorado County Deed Records, Book 180, p. 146. 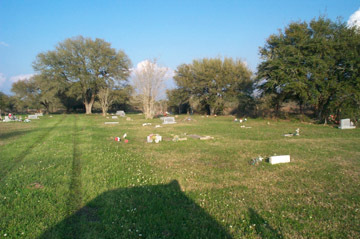 Since that time, the cemetery has more frequently been called Williams Paradise Cemetery. Daughter of Sam and Jane King, married Walter Dabney, Sr. Son of James Henry Johnson and Trula Williams, called "Granda"
Daughter of Johnnie Louis and Mary Ella Vann, married Lemmie McGrew, Jr.